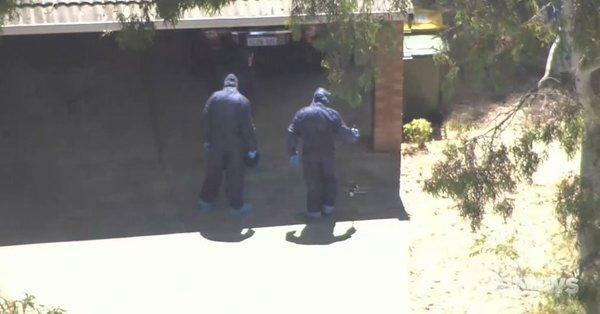 A woman was horrifically killed with an ax in her Perth home in Australia while a man was seen running naked down a nearby road, looking disoriented. Authorities are still investigating to see if there’s a link between the crime and the naked man. A neighbor discovered the woman inside the home and immediately called emergency services to respond and investigate shortly after midday local time. Responding officers closed down more than 500 meters of Henderson Road in Munster for their initial investigation. They are expected to be at the scene throughout the night. One possible angle the detectives are looking into is that the woman was killed during a home invasion gone wrong. Police also describe the running naked man as someone in his 20s. He has been arrested for questioning, although no charges have been filed against him as the authorities are still investigating if the two incidents are related. Desanges said the running, naked man was arrested simply because he was in the vicinity. It is not clear if the man has given any statement about the incident, or why he was running naked in the first place. The inspector also stressed their determination to get to the bottom of things as they have significant resources deployed in the area to establish what really happened. It is not clear if the investigators have already viewed any surveillance cameras that may be available around the area that could shed light on who came to the woman’s house prior to the discovery of her gruesome murder. It is also not clear if the victim lived alone. this is what happens when the government rounds up the guns. Home invasion gone wrong? Isn't a home invasion already wrong? Any security cams around there??? And the running man -- Is he a recent invader? Just sayin.